A wayward calf gets roped by a cowboy riding some serious horsepower. The Henry County Sheriff’s Office, in northern Tennessee, posted this video to Facebook showing David Bevill riding the hood of the sheriff’s car, rope in hand, following the calf in the middle of the highway. 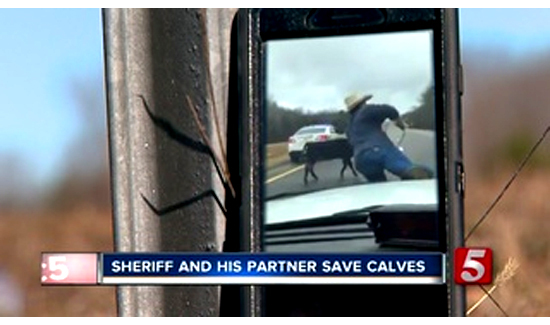 The car and cowboy approached the calf carefully until Bevill was close enough to rope the animal. He successfully captured the calf, which was followed by some intense moments.